Neither moss nor from Spain, Usneoides goes under many names. “Spanish moss” – Considering it’s apparent resemblance to the epiphytic lichen and the fact it is found in many of the former Spanish colonies of the South Americas, this needs little more explanation. “Old Man’s Beard” – This name stems from tales of where the plant came from… In 1947 Wyndham Hayward reported on a legend that the great Spanish explorer Hernando De Soto persued an Indian Maiden through the forest and up a live oak tree. During the chase his gray beard became entangled in the tree, giving the maiden an opportunity to escape. De Soto freed himself, but several wisps of his beard were left behind. The remnants became Spanish Moss. 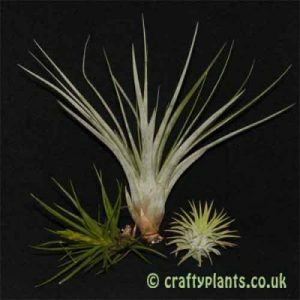 “Vegetable Wool”, “Southern Moss”, “Black Moss” & “New Orleans Moss” – in 1930′s America, a new industry arose around Tillandsia Usneoides. 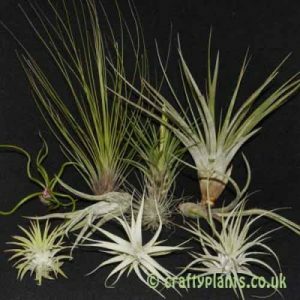 Throughout the Florida and Louisiana regions, factories processed the airplant on a commercial scale. The tough inner fibres were processed for use as the new upholstering material. Described at the time as ‘odorless, sanitary, naturally mothproof, to have a lasting resiliency which is surpassed by that of only the best grades of horsehair’, the processed inner core of the airplant was used in the upholstered seats of streamline trains, transcontinental busses, airplanes, yachts, deluxe trailers, matresses, household furniture, and even the early Ford Model T cars are said to have been upholstered using it. 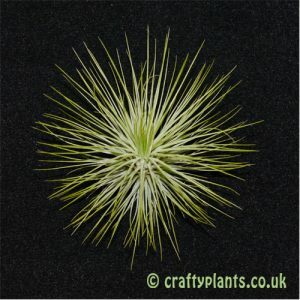 Tillandsia Usneoides can quickly form a large and impressive plant. 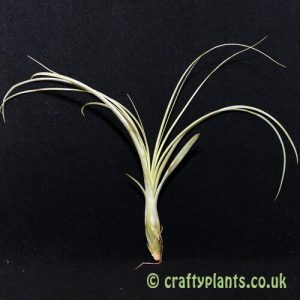 Its long handing strands are comprised of many individual plants of 15 – 20cm in length. 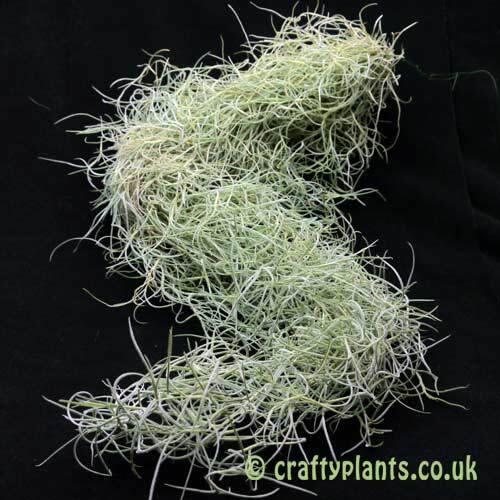 Supplied as clump of strands as shown in the photo upto 100cm long.